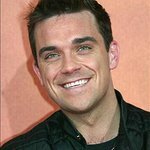 Robbie Williams is set to lead the British football team in this summer’s charity tournament, Soccer Aid. Williams has invited Jude Law and Orlando Bloom to join him in training for the match, which is scheduled for next May. His team will be taking on celebrities from around the world at Manchester United’s Old Trafford stadium to raise money for UNICEF.